We’ve been to the Bahamas, the Caribbean, Hawaii and Greek islands. But I must admit Rottnest is a serious contender for the best island we’ve been to anywhere in the world. But there’s one peculiar attribute about this island spreads it’s reputation far and wide. A small furry marsupial that looks like the unnatural unification between a kangaroo and a rat. I’m talking about the trending hashtag #QuokkaSelfie. 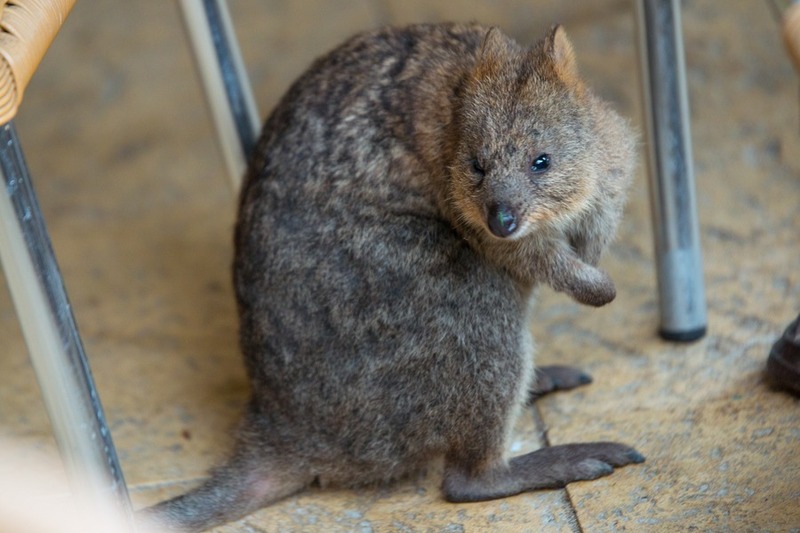 What the heck is a Quokka? 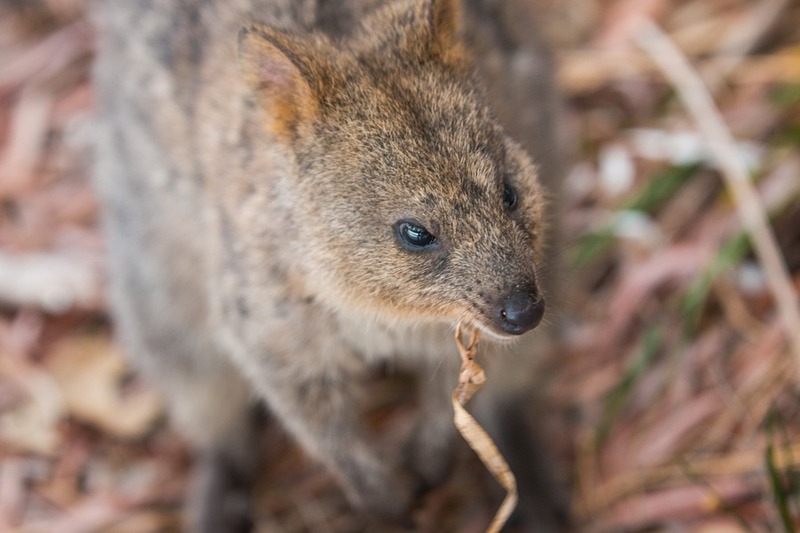 Labelled by Huffington Post as the happiest animal in the world, the Quokka is a small macropod living on Rottnest Island (and only one or two other islands off Western Australia). 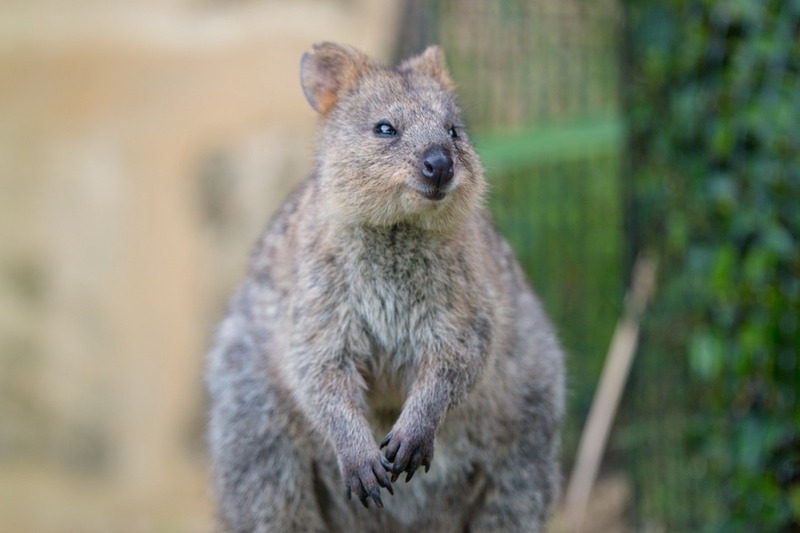 Much like it’s family (kangaroos and wallabies) the quokka is herbivorous and primarily nocturnal. About the size of a domestic cat, they range from 3 to 5 kilos (6.6 to 11 pounds) and are only about 30cm tall (11 to 12 inches). They resemble small kangaroos more than cats and hop around on their hind legs. It is illegal to touch a quokka, a temptation that can carry a AUD$2000 fine, but taking selfies with them is no problem. They aren’t too afraid of humans. I mean, how could they be with a charming smile like that? However, I found the #QuokkaSelfie with these nimble beasts a much harder task than I imagined! Rottnest Island is located 18 kilometres west of Fremantle, Western Australia. The island covers 19 square kilometres and is a popular holiday destination for Perth locals. Lined with 63 beaches and 20 bays, there’s a very good chance you’ll find yourself on a sandy secluded stretch of pristine beach. 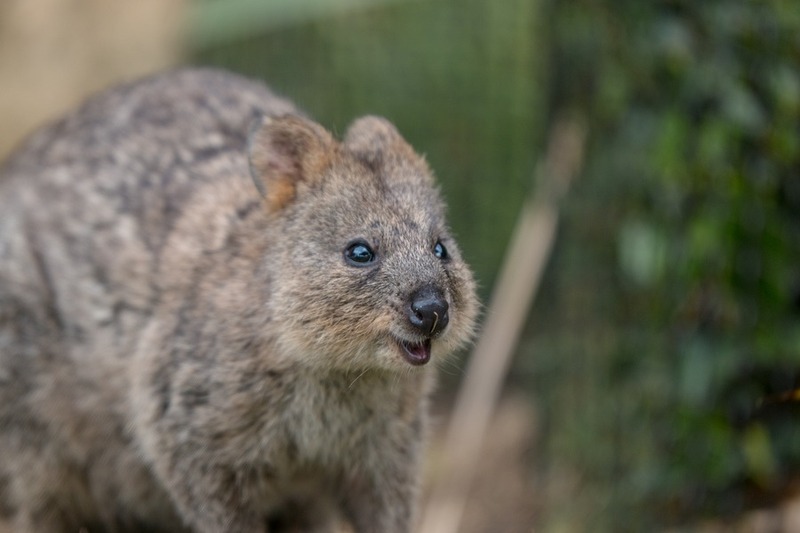 The quokka was the first Australian mammal seen by Europeans and the 17th century Dutch explorers mistook them for giant rats, thus naming the island in Dutch “rotte nest”, which translates to “rat nest” in English. Little did they know that these cute animals are not closely related to rats at all, but the name stuck. 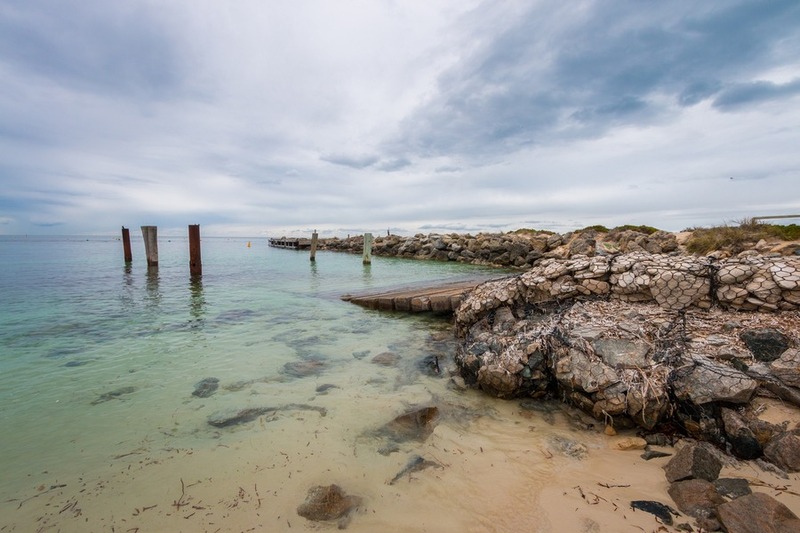 Josh and I had only visited Rottnest twice in our lives and the kids had never stepped foot on it’s sandy beaches, so it was high on our list of things to do back in Perth during our recent visit. 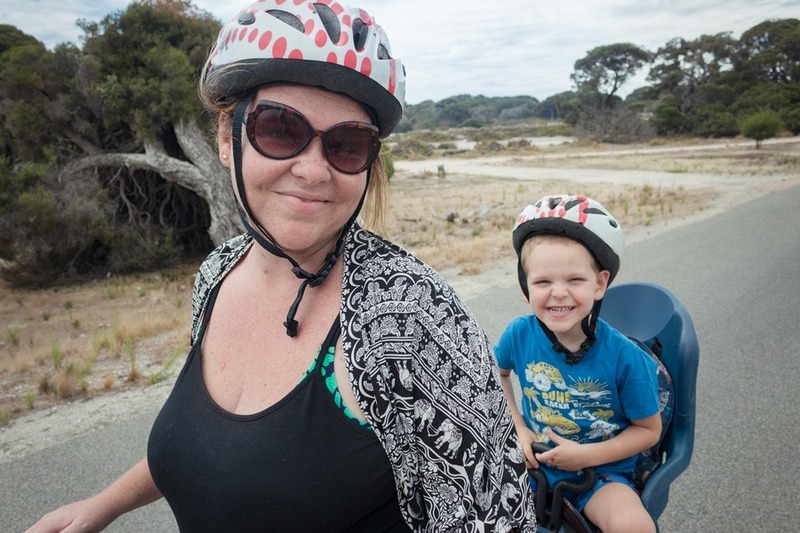 Viator invited us to try their Rottnest Island Bike and Snorkel Tour, which included a ferry trip to the island, bike hire, snorkel equipment and lunch. Importantly Viator’s price worked out noticeably cheaper than the sum of the individual components, if we had arranged those directly. 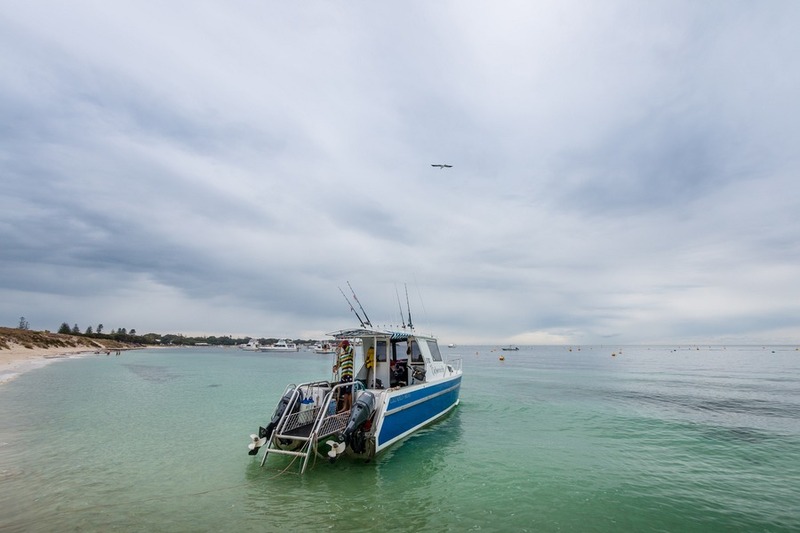 You can catch the ferry to Rottnest from several locations. Victoria Quay in Fremantle is the closest mainland location, which we decided to drive to and embark from. Be careful when parking in Fremantle as some carparks have a maximum limit of only 3 hours. You can find all day parking easily enough by following the signage (near C Shed) and the cost was approximately AUD$7. All day parking found near C Shed… look for the big C.
With our Viator vouchers in hand we approached the ferry desk at B Shed to collect our tickets. There was some mix-up where they could not find our booking, however he said that wouldn’t be a problem and printed out the tickets for us - a long chain of tickets that covered the ferry ride, bike hire, snorkel hire and lunch. Once we had our tickets we were told bike hire would be ready for us on the island. I asked about bikes with training wheels for the kids or trailers and he let us know we could sort it out with the staff on the island. So we lined up nearby ready for our ferry to Rottnest. 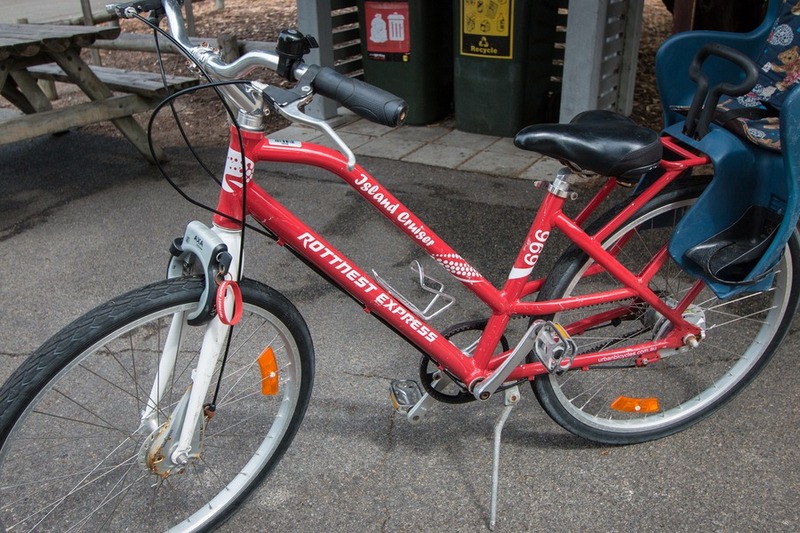 It was a quick 25-minute ride to Rottnest in comfortable seats. There was a snack bar on board, as well as a large-screen television. Before we knew it we were disembarking at Thomson Bay, Rottnest. Once off the boat you can collect your bikes right on the dock. However the staff did not have bikes with training wheels or trailers. Once we told them what the ferry ticket collector had told us we were told that information was incorrect and trailers are brought over on the ferry so we should have organised it back on the mainland. With all the confusion on the company’s behalf they asked us to hire a bike from the island’s bike shop and they would refund the money (which took place on the mainland when we returned that evening). Fortunately there was at least 1 spare bike with a baby seat on the back that Caius comfortably fit in, so I used that. Next we walked the 300 metres to the island’s bike hire shop. 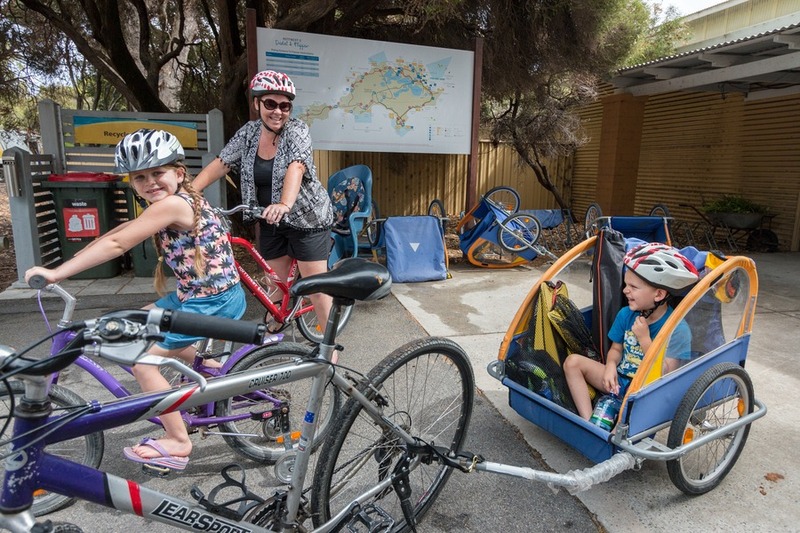 Bike hire on Rottnest is not cheap, hence why we decided on the package tour in advance. We were originally going to hire a bike and trailer for Josh and Mia, but Mia insisted on riding her own bike around the island. So Josh got the bike and trailer, plus a bike with training wheels for Mia at a total cost of AUD$69 with a $100 deposit. TIP: If you bring your own bike you can save more than a few dollars compared to bike hire on the island, but the ferry charges around AUD$15 per bike as extra luggage. 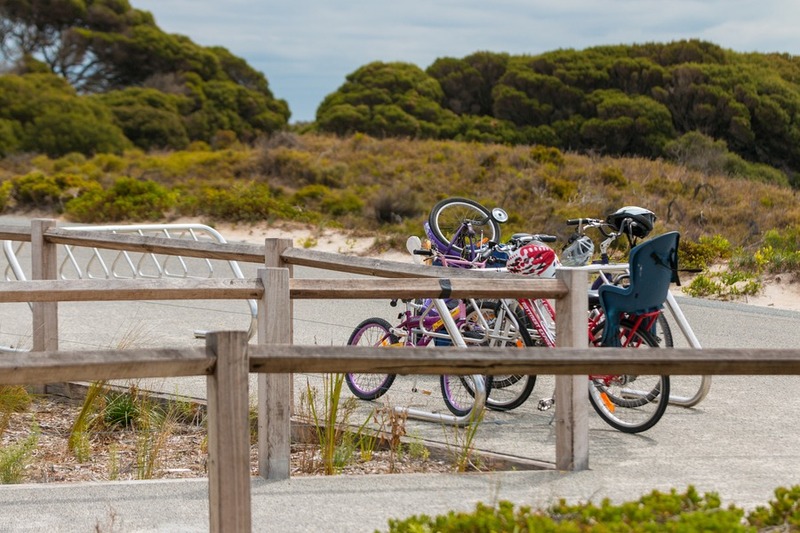 Public vehicles are not permitted on the island, so the traditional way to explore Rottnest is on a bike (or alternatively on an electric bike). But if you are not up to biking your way around the numerous ups and downs there is also a bus. With our Viator voucher we were also entitled to snorkelling equipment that we could collect from the bike staff right outside the ferry. Goggles, snorkel and flippers all in a black netted bag. I skipped the flippers for Caius and myself but Josh and Mia both decided to take theirs. We simply cycled as far as little legs could go and ended up on the south side of the island at Porpoise Bay. Around that time strong southerly winds started to roll in and the water became angry and choppy. So we turned around and retreated to the eastern end of Thomson Bay, near Kingston Barracks. The kids thoroughly enjoyed donning their snorkels and masks for a swim. I found the water slightly on the chilly side (since it was March after all) and was happy to sit in the shallows playing with sand. TIP: While our day was relatively cool considering the season, the harsh Australian sun still left its mark on our skin. So make sure you bring plenty of sunscreen and regularly drink water. 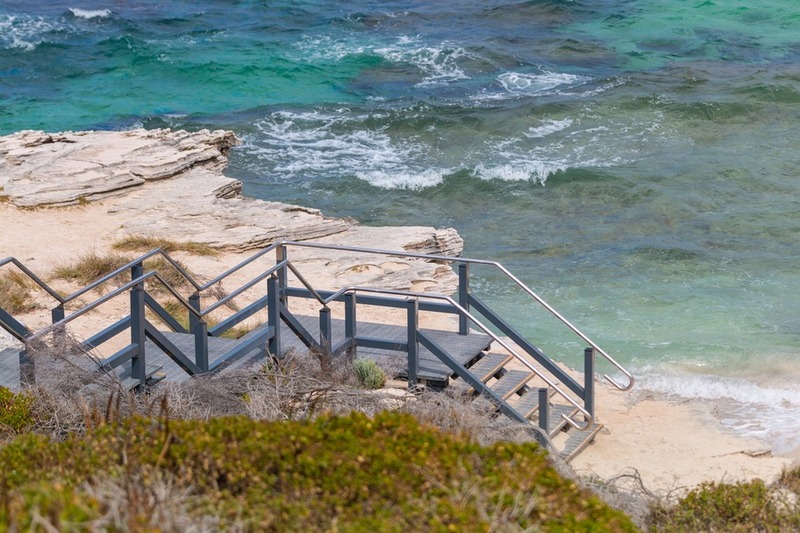 There are so many unbelievable beaches to visit on Rottnest Island. A favourite for families are the still, shallow waters at The Basin (just north of Thomson Bay). But you can take your pick from multitudes. As a rule of thumb, the further you go from Thomson Bay, the more deserted the beach. The island is built for families and you will find several playgrounds spread around. We stopped at a colourful playground in “the Settlement” along Thomson Bay at the end of our day while we waited for our return ferry to the mainland. It was located immediately opposite the Dome coffee shop – you can’t miss it. 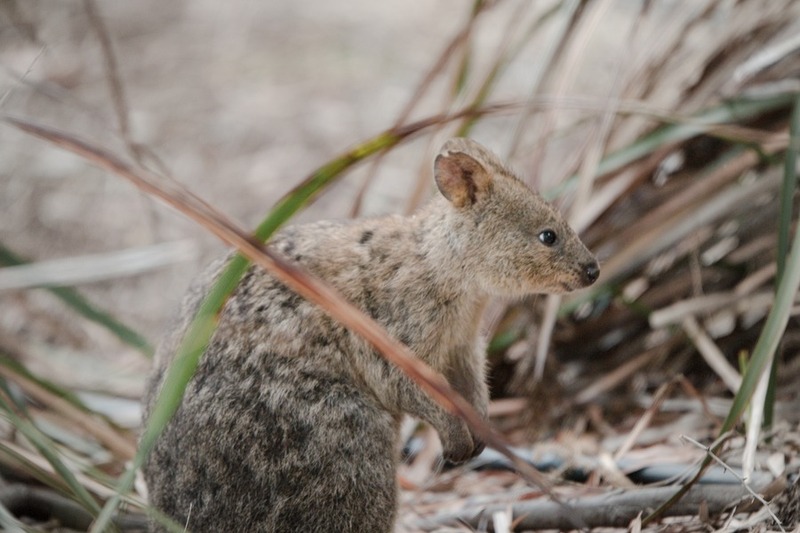 In addition to the humble quokka, Rottnest Island is home to many varieties of wildlife - on land and in the sea. 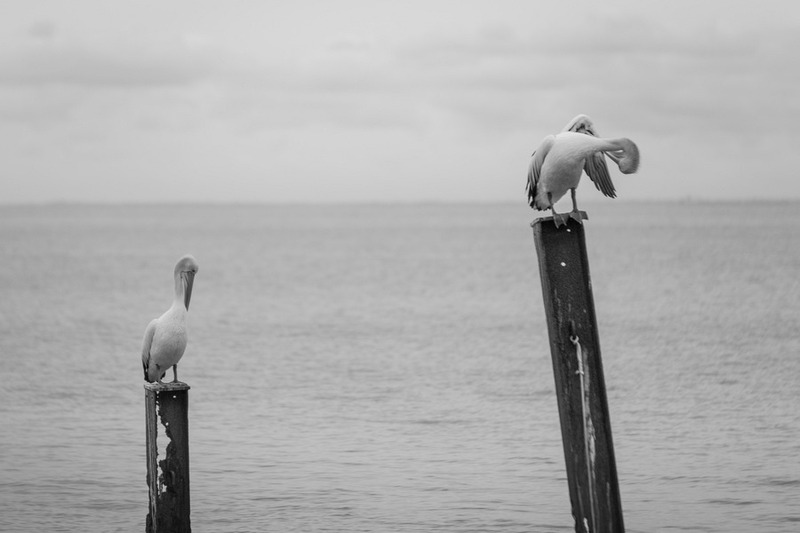 From Humpback Whales (Sept-Nov migration) to Fur Seals (at Cathedral Rocks), to Ospreys. 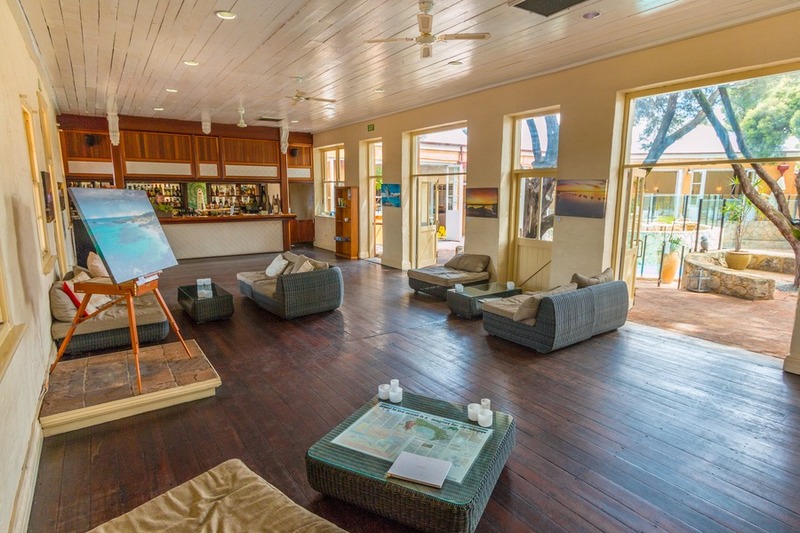 You can spend the night on Rottnest, but it may cost you an arm and a leg. In the off-season you might be able to score a bargain at AUD$114/night for a 2-bedroom chalet, but high season prices go up to AUD$500/night for a 3-bedroom cottage. We’ve only stayed 1 night many years ago - pre-kids. At the moment there are relatively limited accommodation options available and high demand (so you usually have to book in advance during peak periods), but plans are underway to develop more lodging. 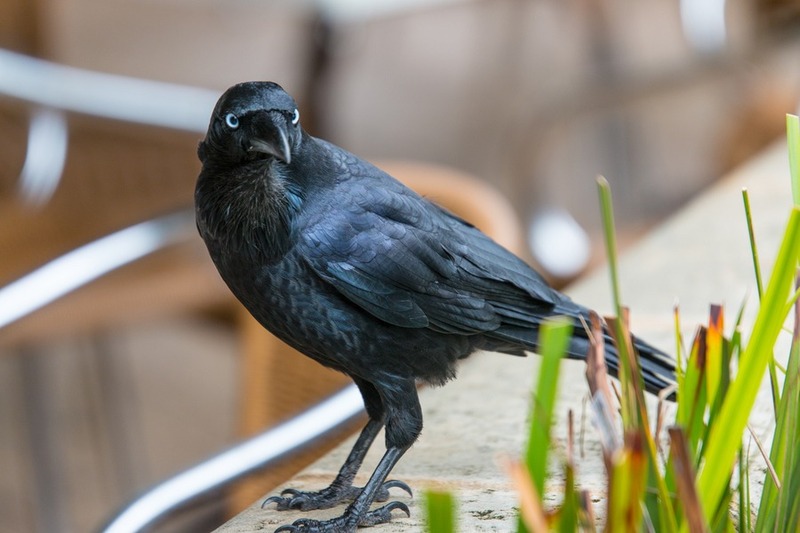 Just keep in mind that visitors don’t come here for a 5-star hotel experience, but rather a relaxed beach environment, and you’ll have realistic expectations. 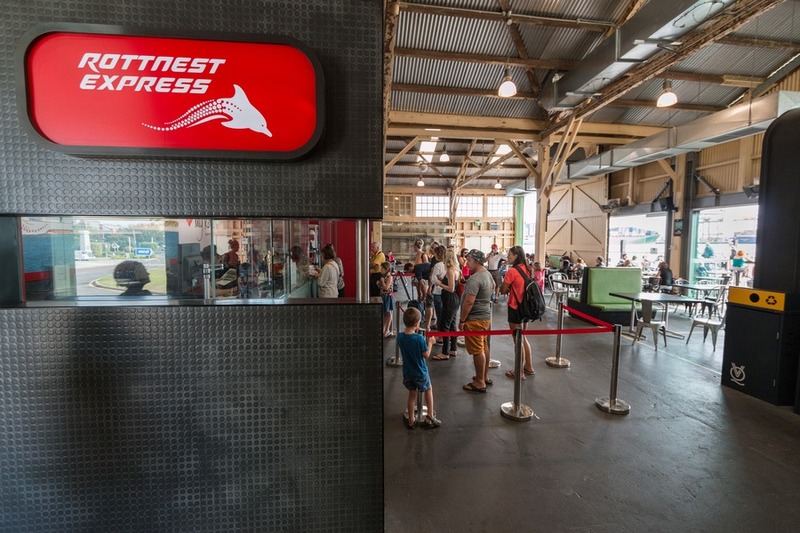 The island has come a long way in offering places to eat, however if you thought Australia was expensive, Rottnest might take your breath away. This is exactly why the Viator tour package worked so well for us. We knew upfront all the costs involved and having lunch included was a bonus. We ate at the Rottnest Lodge. 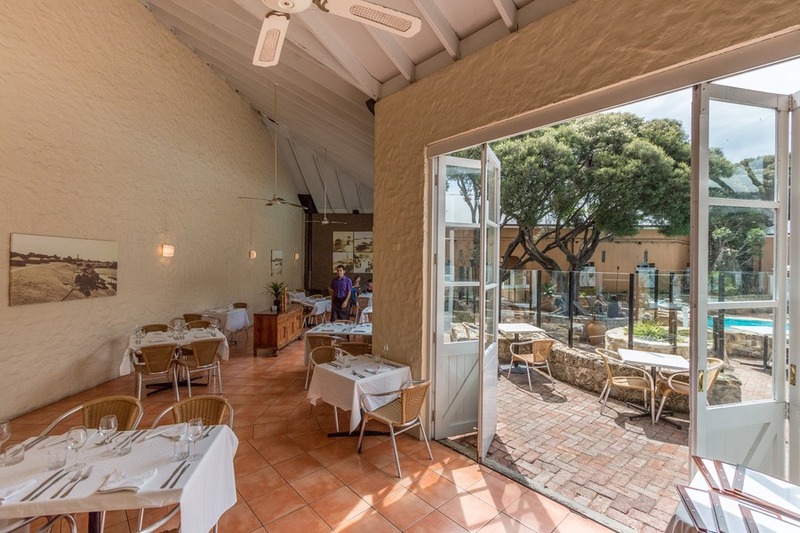 Not as fancy as you might think, it’s a laid-back hotel restaurant overlooking a pool and garden. While the tables were set with several layers of cutlery, the napkins were slightly dirty and there was only a simple lunch menu (no need for a set of entrée knives and forks). The food, though simple, was quite delicious. 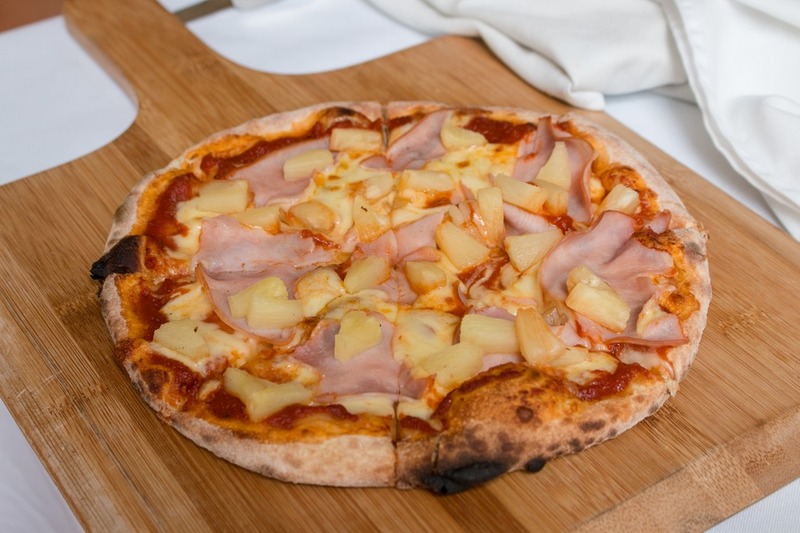 The tour package allowed us to choose any four meals we wished, plus sides and drinks. 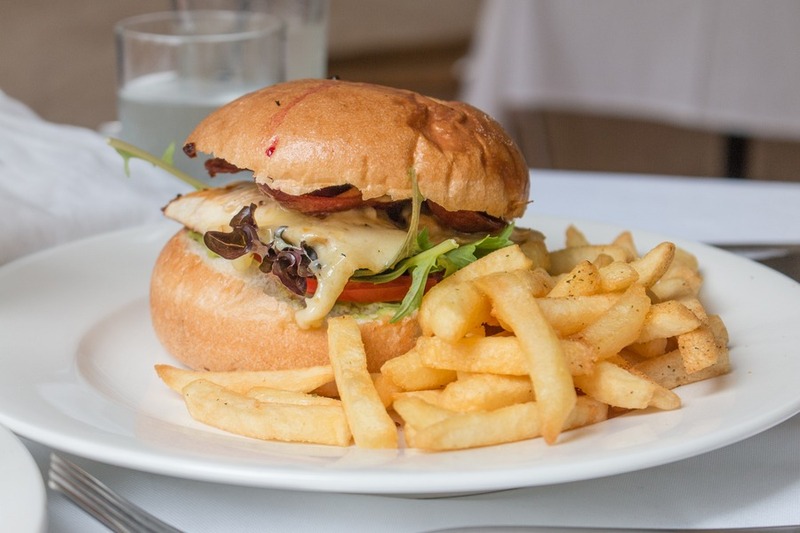 Josh’s very Aussie-looking burger was juicy and tasty. My chicken burger was slightly dry and the bun was so big I decided to eat it open-style, skipping the large base (and unnecessary carbs). The kids really enjoyed their spaghetti bolognaise and pizza. Outside the restaurant dining area was a shady little grassed area with games for the kids – ring toss and the such. We couldn’t supervise the kids from our table inside the restaurant, but they did have time to play in there before and after the meal. Subway or the local bakery may be cheaper dining options if you’re on a tighter budget. 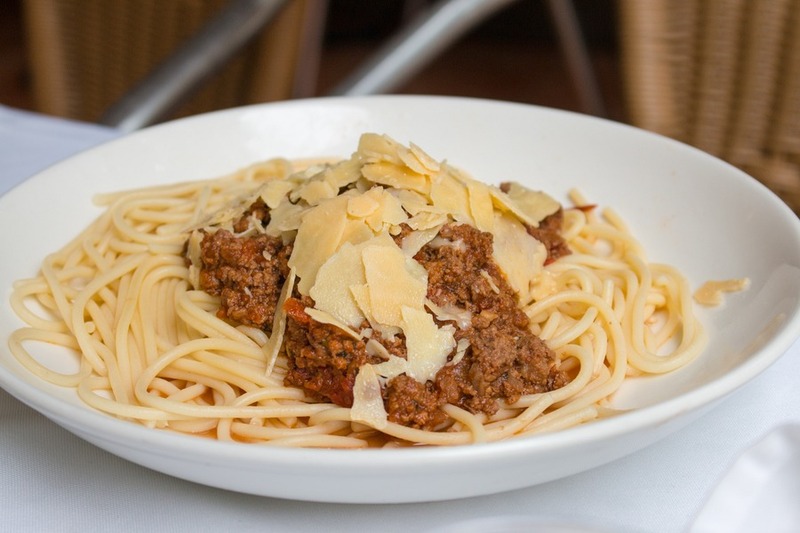 You can find a full list of restaurants and cafes here. In the past our favourite option has been to bring a picnic lunch and cycle to a secluded beach to enjoy at leisure. Considering the relatively small size of Rottnest, there are a surprising number of activities dotting the island. From fishing to surfing to golf (full course as well as mini putt-putt), diving and even a floating water park. We only touched on a fraction of the potential activities on our day trip. While Rottnest isn’t a cheap day trip, we still loved it for our special family getaway. It’s spartan, natural laid back feel from yesteryear instantly induces relaxation. At the same time I felt thoroughly accomplished (and sweaty) after riding a bike for several hours, burning those extra calories. I always say how easy it is to take your backyard for granted, and I must admit I’m guilty of the same. Experience Oz conducted a poll of top Australian destinations in 2014 and Rottnest Island took the #1 spot, outranking The Whitsundays and Uluru. Wow, that’s a big call! 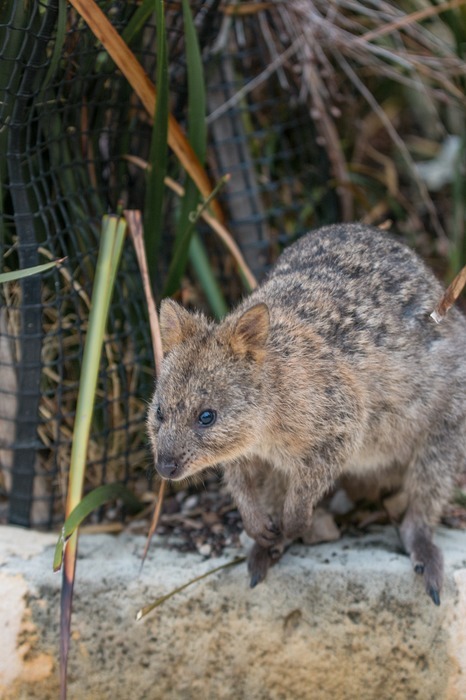 But then again Rottnest has something that all these other destinations are missing… the happiest animal in the world which also happens to be ready and willing to pose for a #QuokkaSelfie at any time. Say cheese! How interesting that Rottnest took out #1 as the top destination. It certainly has come along as it should, with the quokkas being the happiest little draw cards. Too cute for words. I don't remember even hearing of quokkas before. And no matter how hard I try I'm not going to be able to resist searching for that hashtag as soon as I post this comment. 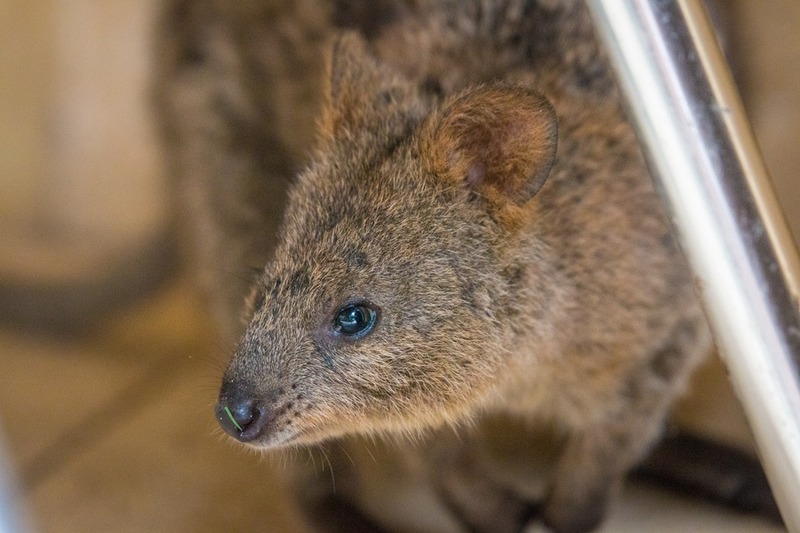 Looks like a great place to visit (and not just for the cute quokkas). Can't say I've ever heard of a quokka before. They look remarkably like the dassies that you get in South Africa to me. The island looks lovely and looks to be perfect cycling country for families with young children. 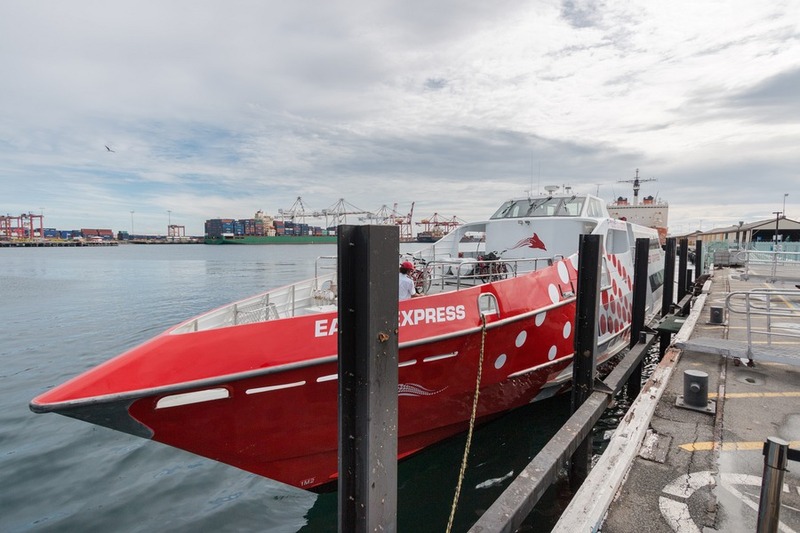 How ironic for Rottnest to be voted #1, that ferry looks like it could almost fly with the graphics on the side. 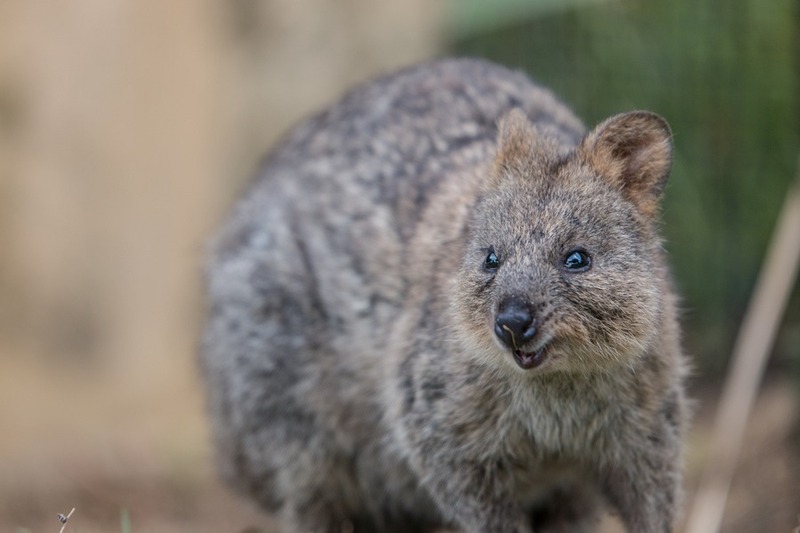 The quokkas appears to have a bit of kangaroo in it-sharp teeth? A cutie nonetheless. 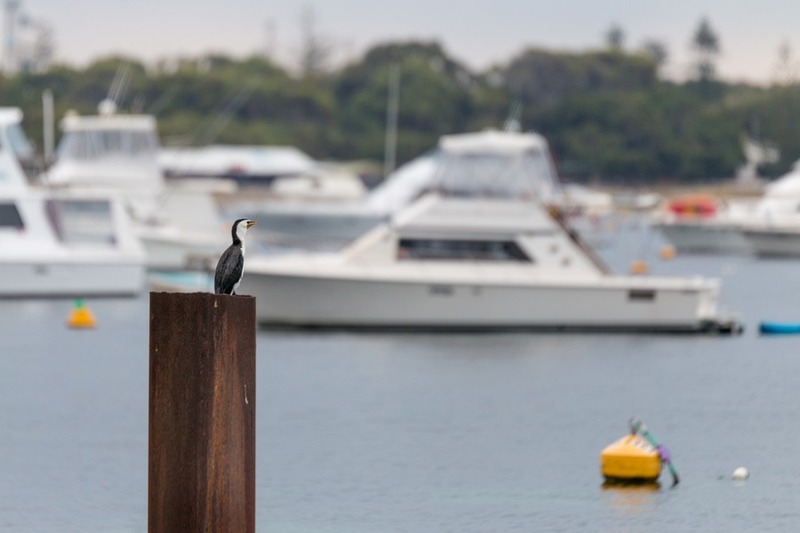 What a great summary of Rottnest and all the things to do there. Rottnest for me is definitely a top destination, but I'm surprised so many other people seem to think so. Erin if you aren't super fit or a regular cyclist do you think it's feasible to get around on the bikes enough to see a reasonable number of sites and find some quokka or would it be better to book an organised tour that I presume includes the bus. I'd normally prefer to be independent to avoid the crowds and am hoping if your little one cycled it I should be able to. What do you think, did you end up using the bus?